What if we knew the world was coming to an end? Rather, what if we knew our Age was coming to an end? 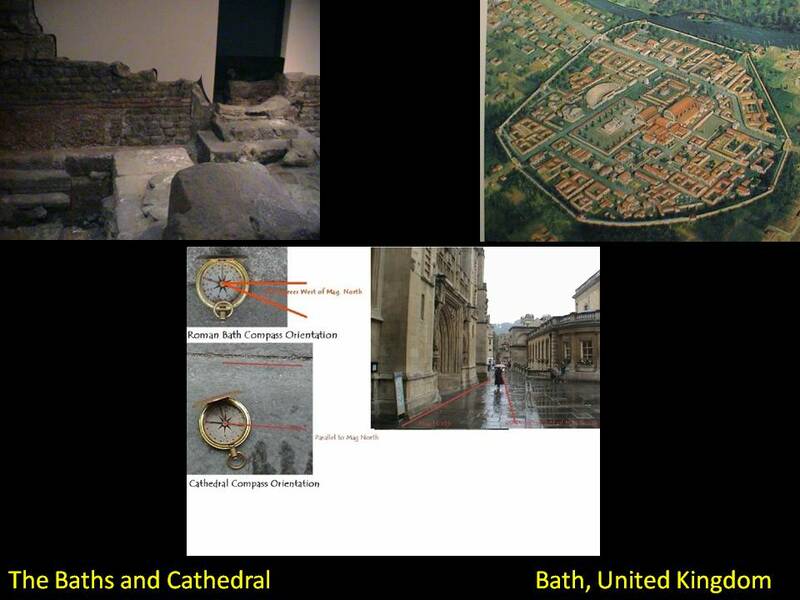 The ancients divided human history up into Ages, each Age separated from the next by a global catastrophic event. What if we knew the end of our Age was coming soon? What if we knew there was absolutely nothing we could do to prevent it? Joel was in his thirties, built like an Olympian and possessing the energy of ten men on intravenous cappuccino. The Nussbaumers took me into their home as a “trainee” via the Mennonite Central Committee’s cultural exchange program. I had just graduated from Penn State with a degree in Architecture. I knew as much about dairy cows as I did cooking. (I am a horrible cook.) Life revolved around the milking schedule. Joel didn’t like to get up early so we milked “six and six”, six in the morning and six in the evening. After the night’s milk was in the tank and the cows were bedded down, we took our supper in the farmhouse. 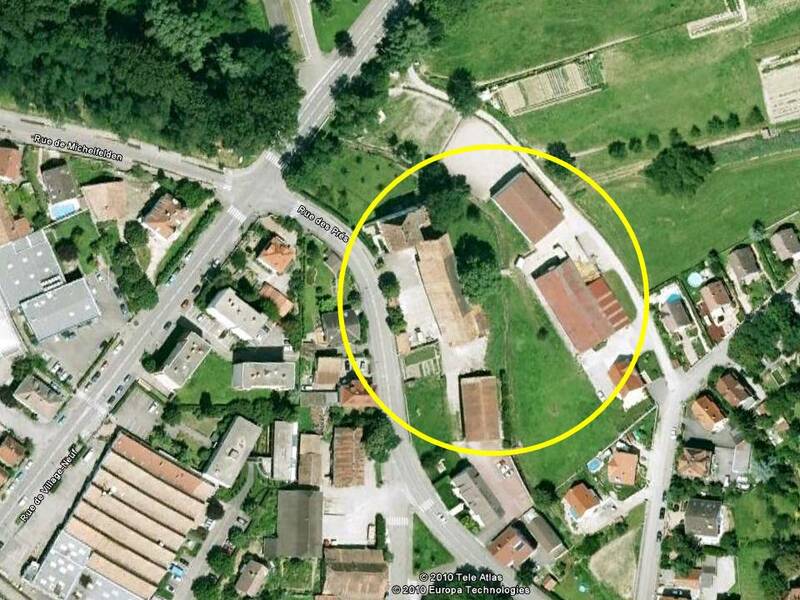 The farmhouse was built in the 1200’s and still had the original timbers and walls, except for the rear section. Back in World War Two, a Panzer had fired a shell through the back wall while trying to hit a French tank hiding behind Joel’s farmhouse. The family burst into tears every time someone retold the story. Oma especially. She was in the garden during the attack. Two planes were dog fighting overhead. Every time one of them dove, the bullets they were shooting pounded the ground all around her. As was typical of all European houses, the farmhouse windows had no screens. Flies and mosquitoes flew throughout the home with impunity. At night they orbited the kitchen table lamp like an energetic solar system. The table was long with plenty of stretch out space for Joel, Ruth, their son Sebastian, myself, and Joel’s parents Opa and Oma. A few neighbors would usually stop in and hang out. We would go through a couple bottles of wine, a single bottle of Schnapps, Ruth’s homemade farm bread, hand pressed apple juice, aged Swiss cheese (We were five kilometers from the Swiss border), real butter, real yogurt with the fat still in it, and a chunk of smoked pork that was a cross section of a pig from bone to fur. This they called Light Supper. You should have seen the Noon Meal. There was no television viewing at night. We told stories and occasionally Opa or the neighbors could be convinced to sing. One night after the Schnapps and wine had been drained and our bellies were recuperating from the meal, I told Joel I knew how to catch a fly without killing it. Joel wasn’t sure he heard me correctly since I was saying this in German, a second language for both of us and further handicapped by my constant butchering of the grammar. Opa being Swiss understood me better. He laughed, explained my claim to Joel, and dared me to prove it. Catching a fly is simple. I learned it in Junior High. Wait for a fly to land on the table. Take your left hand and hold it in front of the fly, just close enough before the fly will bolt. Wiggle your fingers slowly and wait for the fly to settle down and stare at your fingers. Now you have the fly’s full attention. Take your right hand and very slowly bring it up behind the fly to within about two feet. Then with a sudden sweeping motion, scoop the fly up into your right hand, trapping it in your fist. Applause broke out around the table. Then Joel got the bright idea to see what would happen if we put the fly inside the empty Schnapps bottle. After a few seconds, we let it loose. Note: A fly exposed to Schnapps fumes is a very erratic aviator. He bounced around the walls and ceiling, then nose dived into the kitchen table. The Age of the Fly came to a sudden End. Would you believe after thirty years, I still feel bad about that? I thought about that night. I thought about the pieces I had written earlier this year about the Stream of Heaven. 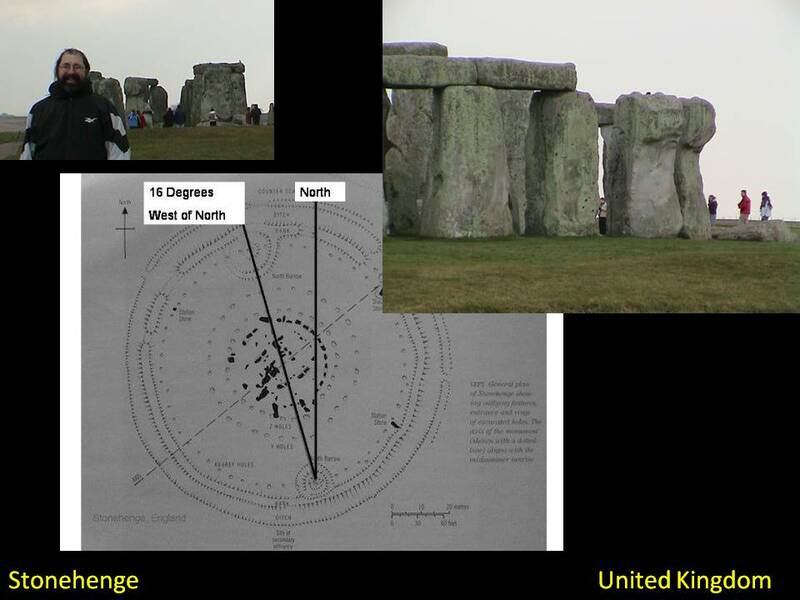 About the evidence I presented tied to the recent outer planet impacts and the patterns. 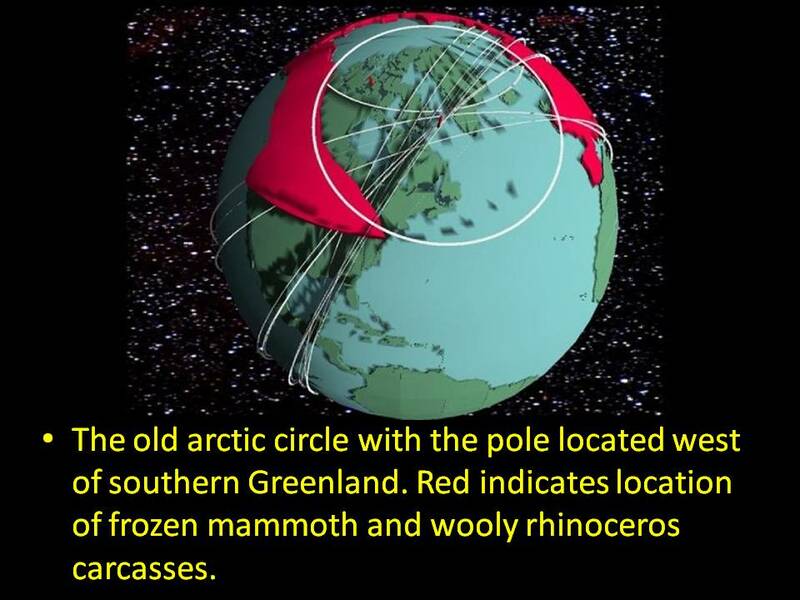 About the pole tilt evidence, Hapgood’s magnetic pole location in 11,000 BCE, and the evidence of a former ice cap centered on it. 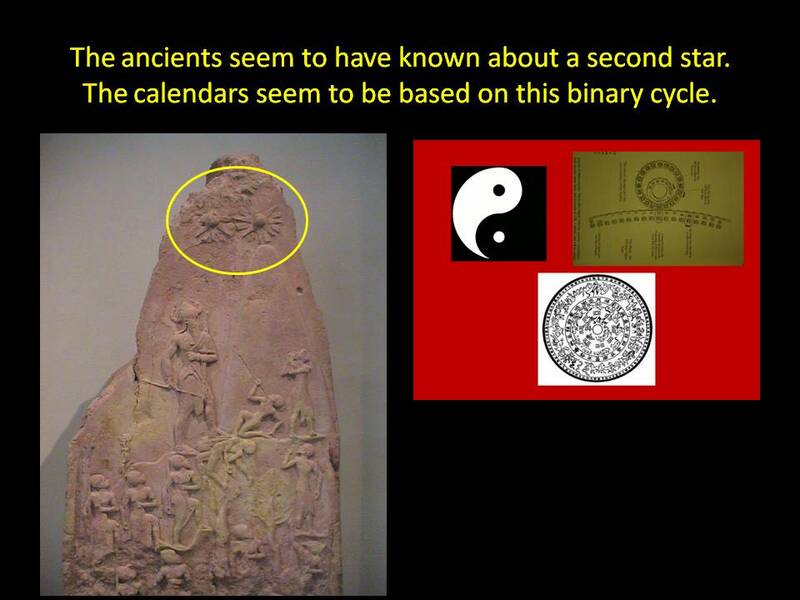 About the circular calendars and Ezekiel’s Wheel within a Wheel being a four Age calendar. About the Stream being the outer edge of a companion star’s Oort cloud possibly entering our Solar System like a massive edge of a buzz saw whose comet fragments glow once they fly close enough to the warmth of our Sun, creating a celestial spectacle during 2012. 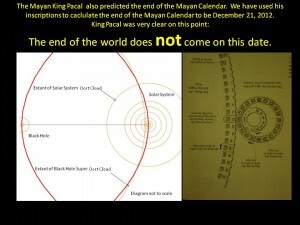 While the Mayans were clear that nothing in 2012 would harm us, what if something else hits us from a different direction? Something the Mayans and other ancients would term a minor cataclysmic event that only partially destroyed the earth? From their long historical perspective, regional disasters were frequent and severe. Read the Egyptian Priest Solon’s account of floods and earthquakes in Plato’s Timaeus and Critias. According to Solon only the global killers were granted the status of “Age Enders”. All the other catastrophes were footnotes to their historical record. Only the ancestors to the Chinese seemed to be keeping track of the “minor” disasters. What if the celestial object(s) predicted to end our Age in fire hit us after the Stream of Heaven has come and gone? At a time when we least expect it? A perfect time would be when we are all celebrating the near miss of the Stream of Heaven. What if the long train of comet fragments, meteors, and stellar dust is the celestial “left hand”, drawing our attention and focusing our concern? 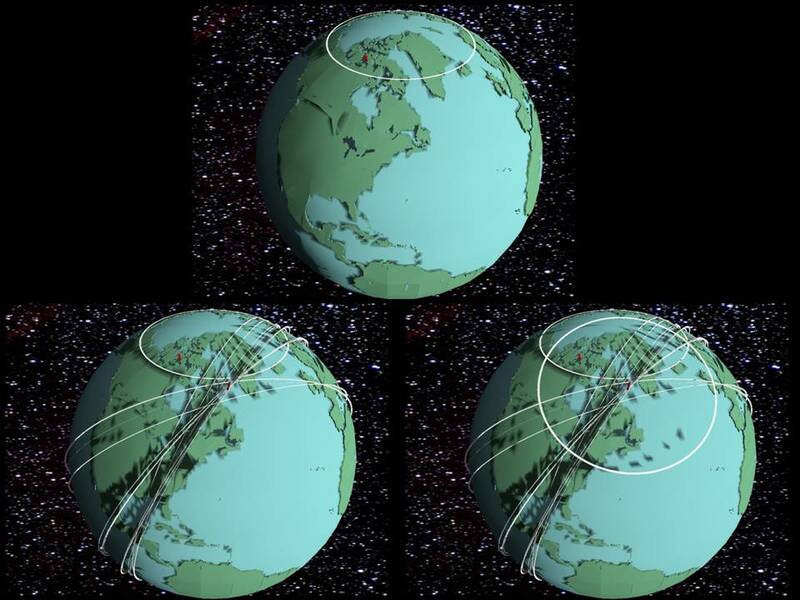 What if there is a celestial “right hand” coming from another direction, a little later than 2012 or a lot later than 2012? What if the safe passing of the Stream of Heaven, as Plato called it, lulls Earth into a false sense of safety, only to be clobbered by something other legends may have been referring to as Thor’s Hammer, Zeus’s Thunderbolt, Orion’s sword, or Saint John’s Wormwood? According to legends around the world, something else is out there, heading our way. Something that is unpredictable and devastating. 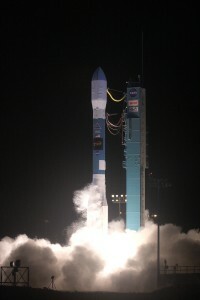 In December 2009 NASA launched the Wide-field Infrared Survey Explorer. It is the first time we will map the entire sky with a precision infrared telescope. We had done this back in 1983 with the more primitive Infrared Astronomical Satellite. It produced fuzzy images and only discovered six comets. The WISE will see much more and with incredible detail. From what I understand, WISE will map the entire sky in about nine months. Interesting that the Government is trying to get this done before 2012. What if it finds a long train of comets millions and millions of miles long crossing into our solar system, not heading towards the sun but cutting a curved swath between Jupiter and Earth? The display of thousands of comets, each capable of severely damaging our planet would be sobering news. Such an entity would be unstoppable were it to hit our planet. All the ICBM’s we might still own by then would not make a dent in that hit parade. What if the ancients saw such a display in the past? What if their records of sky watching were long enough that they saw this celestial parade dozens of times? Maybe Earth is never in its path. Maybe in 2012 the parade will just be a super light show that marks the peaceful resetting of the Mayan calendar back to 0-0-0. Maybe the real danger is a lurking celestial nemesis that comes upon us from an entirely different direction. The Native Americans who lived on the central plains called it the Wizard’s star. 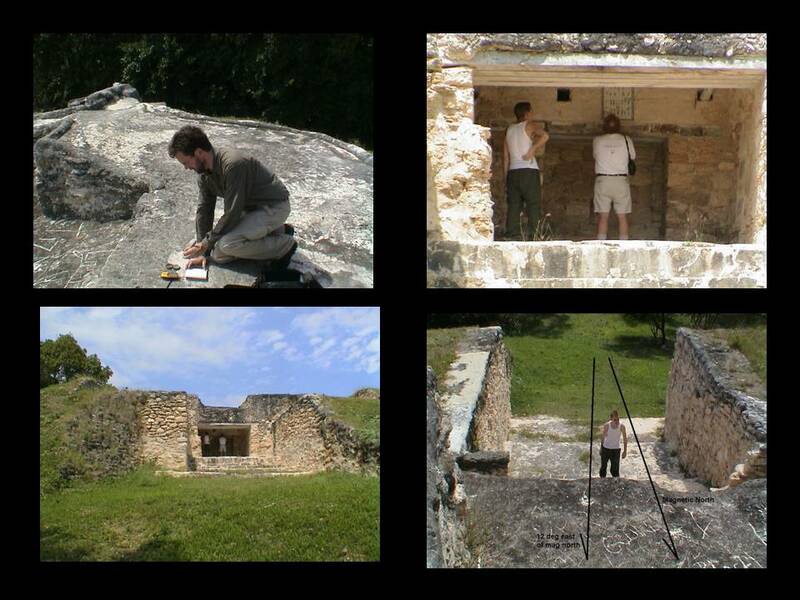 The Mayan’s called it the Feathered Serpent. The Vikings may have called it Thor’s Hammer. 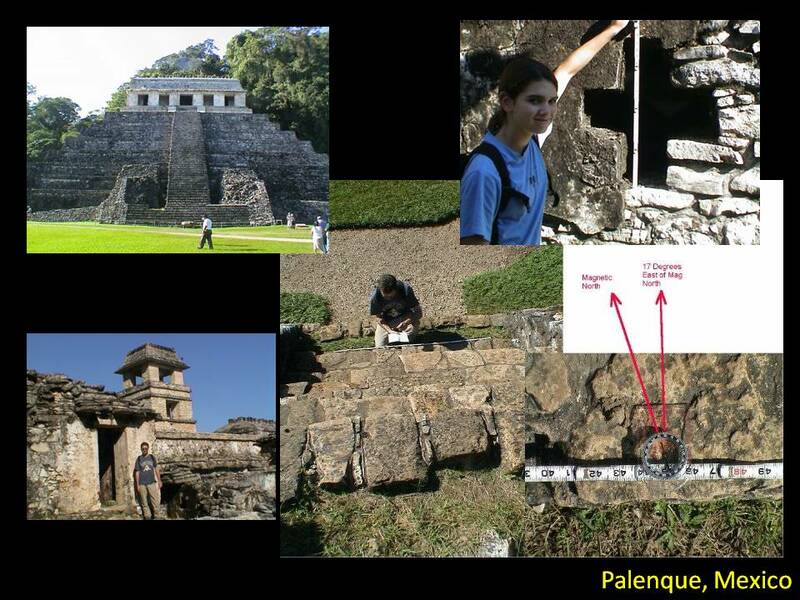 Linda Schelle who broke the Mayan code and deciphered the written language recounts that the Mayan were not concerned with anything happening on 2012. However they do warn of our Age ending in Fire sometime after that. Something is coming that they have seen go across the sky in the past. Enough times that it got named. Whatever it was, it destroyed the Second Age. It changed time. According to the Mayan our year changed from 360 days to 365.26 days. They added a thirteenth “unlucky month” to their calendar because of it. It came unexpected, like a thief in the night. I would guess that the ancient’s fixation with the Belt of Orion and the significance of the Southern Cross have something to do with the direction of this celestial assassin’s entrance and possible exit. I decided to do some refresher digging into Orion’s mythology. It seems that Orion is so ancient a god that even his legends are fragmentary. One interesting feature of Orion is that he tried to kill all the animals on the earth. Could that be a symbol of a global disaster that struck the land and exterminated large land mammals that were too large to take shelter? The disaster that appears to have ended the Second Age (11,000 BC if my dating is correct) wiped out over fifty different species of large mammals in the Americas. Elephants, camels, giant sloths, rhinos, giant round faced bears, etc. were all exterminated. A comet fragment spinning off of a passing super comet because of gravitational pull could have swept across the sky over North America, incinerating the entire continent. Only small animals who happened to be in caves could have survived. Could Orion personify this celestial killer that in the future strikes us from directly “above” sometime after the celestial parade passes by? Is it any coincidence that the constellation Orion comes complete with Orion’s Sword pointed directly “down” at our earth? If so then WISE needs to keep looking “north” and “south” especially if our attention is fixated on something enormous parading “east” to “west”. This speculation is the ground where I sowed Second Sight. I intentionally made the story fictional because its basis is speculation. I could be completely wrong. I have to be at least partially wrong. If I was proven a hundred percent right I don’t think I would be fit to live with. Thanks to WISE, my accuracy will be determined in short order, and likely found wanting. I am okay with that. I am an architect. Architects are generalists who think up concepts and have them rejected partly or fully by our clients. Rejection is second nature to an architect. Or at least it should be. The rejection process spurs a good architect towards the solution. We get there from multiple directions, testing many possible solutions, allowing their flaws to burn away, all the while focusing on finding the germ of a virtuous concept that can be nurtured into lasting reality. Wow was that a sentence or what? Being wrong is important. It narrows the place where right is hiding. I am tired of pompous experts parading their opinions as fact and shouting down honest questions from dissenters as if they were defending against personal attacks. It is high time we stop clinging to tired theories that are proclaimed as fact in the face of mounting flaws. The potential personal loss of money and prestige if proven wrong does not justify hiding evidence and protecting failure. Plato enjoyed speculating about all kinds of things. His writings are labeled childish in some intellectual circles because he dared to put into print what he wasn’t sure about. I think people just don’t get Plato. He was the guy that liked to have a lot of people over at his place to hash out stuff and brainstorm. Nothing was too far fetched to have its fifteen seconds of discussion. That is how he liked to learn. Public discourse and debate in a spirit of fellowship that was devoid of ego. Kind of like sitting around a kitchen table in France and finding out how to catch a fly. The ancients were smart enough to know they couldn’t stop the end of their Age, but they worked together to survive its demise. They worked together to help the rebuild the world as best they could before their technology gave out. Then they packed their knowledge in songs, myths, and calendars, in the hopes that these memory devices would survive language change and warn us of the next Age ending event. The vastness of time, the legions of wars, and the burning of ancient libraries have blurred our ability to learn what they tried to pass forward. Only by discoursing together and helping each other figure out the surviving fragments of their messages will we get to the truth about our past and be able to prepare for our unavoidable future. Please be brave enough to say what you are thinking even at the risk of being wrong. 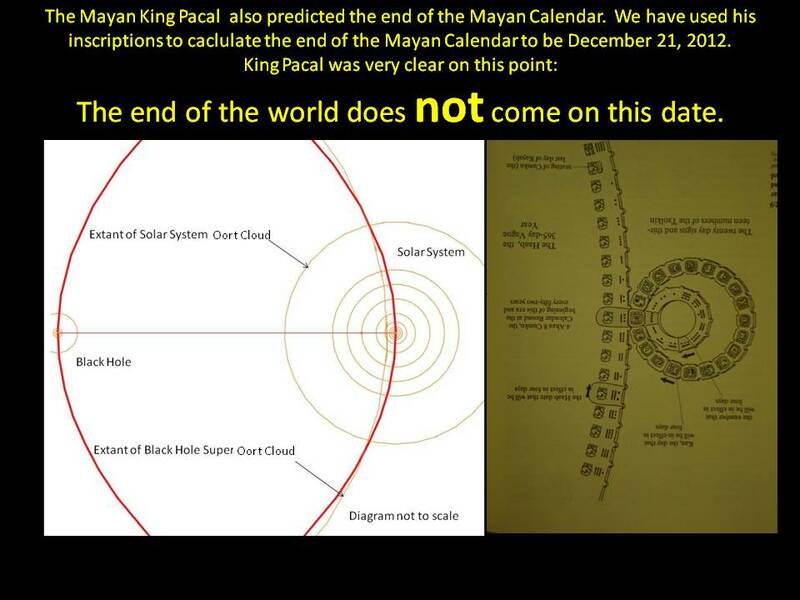 And please don’t jump on the 2012 “End of the world” bandwagon. 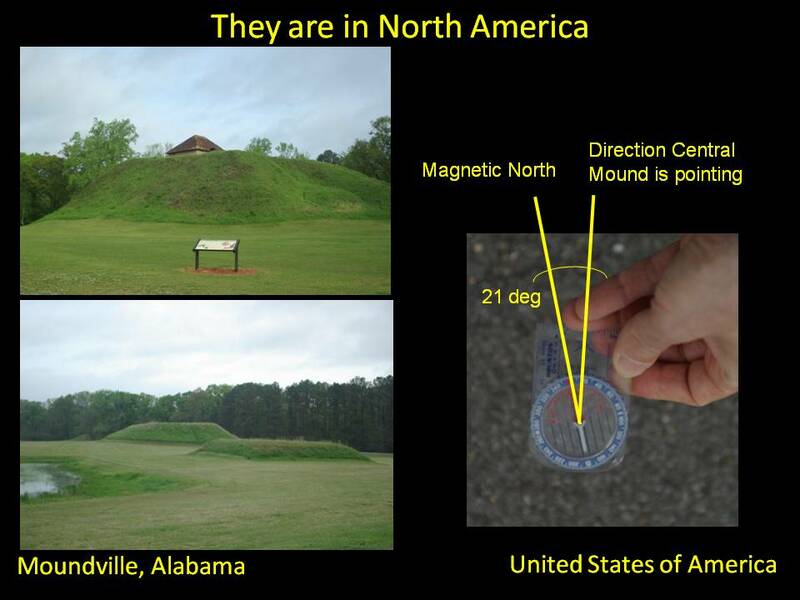 The Mayans didn’t. If something scary appears in the sky in 2012, enjoy the light show but keep your eyes open after it’s over. I’m not sure about some of your theories. They make sense, but I would have to look into them myself to know how much I believe (which I believe is one point you are trying to make!) I do, however, greatly agree with your ideas on discourse and discussion. I, too, think that it’s much better to be thought a fool a few times and reach a logical conclusion after some corrections, then to hold your tongue and remain ignorant. Alas, politics have made this country hostile to new ideas and only irrefutable evidence (and sometimes not even that) can change world views. I’m all for attending a Plato-type school if you ever decide to start one. Thanks for sharing your thoughts. New ideas aren’t always wrong, so keep working! Well said. All my work is theory not fact. Some people seem to crave fame and attention and cross the line calling their theories factual long before they deserve the title. I am not going there. My work is based on circumstantial evidence. I just want to figure this stuff out and sleep at night. and the the closed-mindedness of the broadly accepted assumptions/comforts that get hung onto. all of these things in a way that opens the cover of the book (and hopefully turning many of the pages as well) that tells the story. 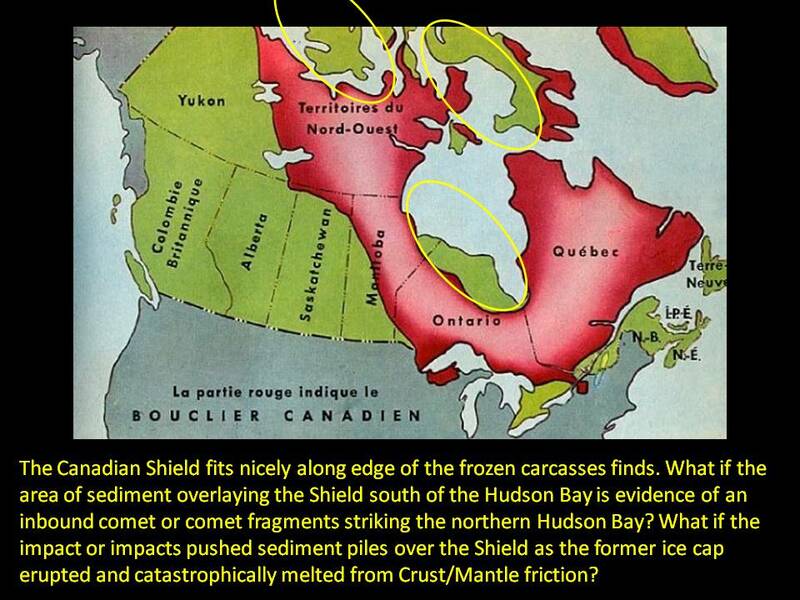 I was looking at maps of northern Canada, and based on things you’ve put forth about the massive ice shield, you can clearly see how the earth was crushed underneath it. You can clearly see the edge of where the ice once stopped. It looks like an elephant with a several thousand mile diameter foot pad once stood up there! you might have to say that once upon a time, there was once a HECK of a lot more water flowing to carve such shapes in the rock. Zion Canyon in Utah looks a lot like Watkins Glen in New York in some regards. But the features in Zion are maybe 50X larger than the ones at Watkins Glen. I have not seen any recent data on outer planet activity. I’ll keep feeding you anything that I see! Thanks for your comments Ron. Agree a hundred percent about erosion evidence not visually matching what’s being taught. Gradualism has a lot of work to do to convince me at this point. Sequel is just about ready. Looking forward to getting the initial chapters posted. Hi Daniella, I can refer you to my webmaster Russ and he can get you set up. Probably fastest way is to find me on facebook. Search Jack Althouse Pennsylvania and I should come up pretty quick. I stopped watching tv and listening to radio about five years ago just to get the commercials out of my head. I get my news online instead. What a difference that made. I can think about things without jingles playing over and over.